As the temperatures in my area were arctic this weekend, I did a rare thing: I went to the movies twice. 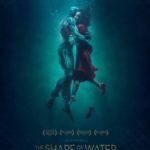 My first movie was The Shape of Water. I had read about this and was very impressed with Guillermo de Toro’s Pan’s Labyrinth. However, having seen the dark fairy tale of Pan’s Labyrinth, I was prepared to expect some graphic violence and yes, it is there. The story, however, is about difference and how our fear of it leads to our own destruction. But acceptance can redeem us. Each of the characters, both good and bad, are isolated from the rest of the world because of some aspect of non-normalcy, of difference. 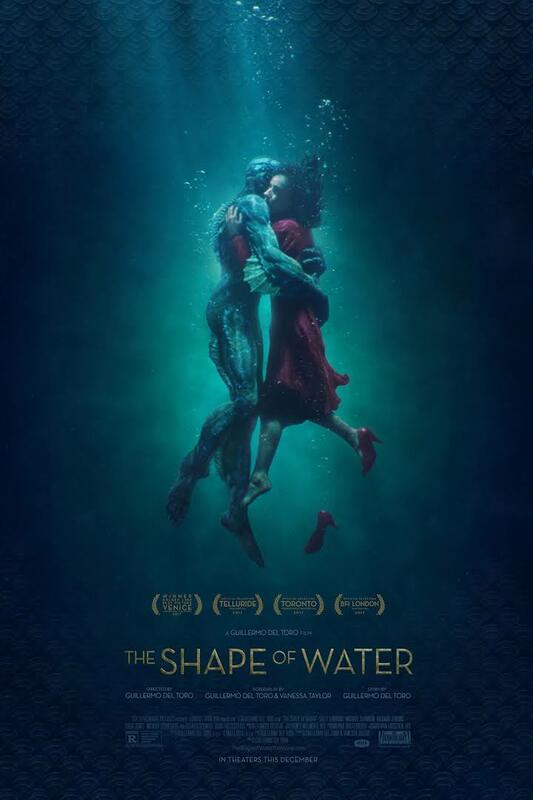 The main character is, of course, an aquatic person who is treated as a monster creature by his captives but profoundly accepted by the janitor Elisa Esposito, a mute who was abandoned at birth with scars to indicate that someone had cut her vocal chords, depriving her of speech. Her friend Giles is gay and suffers from the rejection by the society around him, the early 60s in Baltimore. Elisa’s friend at work is black, exemplifies courage and looks out for her but is marginalized for being who she is. Dr. Hoffstetler is the scientist with compassion for the creature as he observes Elisa communicate with him but he is also a Russian and this takes place in the middle of the Cold War. In the end his own countrymen execute him The villain of the fable is Richard Strickland and while one cannot help but hate his cruelty and torture of all around him, he too is afloat in a world where he is rejected and dismissed. Instead of reaching out to others, his response is to try to kill anything different. Similar to the ending of Pan’s Labyrinth, the finale leaves us with the hope that magical realism offers, a fairy tale ending that suggests it is both true and yet possibly but a dream. We humans cling to that one item left in Pandora’s Box where all evil, illness, cruelty, and divisiveness escaped. We were left with hope. 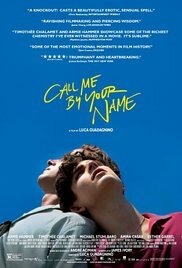 My second movie was both completely different and oddly similar: Call Me by Your Name–a coming of age story set in 1982 Italy where a professor’s summer assistant falls in love with the professor’s 17 year old son. This love relationship is a secret one as both are young men. 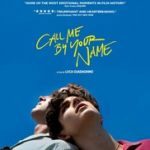 Tuscany plays a leading role in this beautifully imagistic film which borrows images from Hellenistic statuary of sensuous young men to echo the flesh and blood relationship as it slowly develops. Desire, fear, regret, and joy intermingle with the ripe apricots that grow on the orchard trees. However, here too, Oliver, the assistant, leaves and during the winter snow, calls Elio and tells him that he is engaged to get married. The sadness is the abandonment of identity so as to fit in, to “be normal.” Yet both young men are Jewish–yet another form of otherness in their social settings. Both movies trace the importance of courage in facing who we are, and who others may be–however different, Hope offers an alternative ending to tragedy: we can be ourselves and accept others. We can offer eggs as friendship to an alien water being. Just as Bach can be transformed through the lenses of Liszt and Busoni into other forms, so too can we humans see humanity in the face of the other. And how wondrous that experience might be if we can let it happen.